It's a mysterious evening featuring both historical and contemporary novels, with a panel sure to tingle your spine! Mother and son writing team Charles Todd will be here for an in-conversation event with Hank Phillippi Ryan . They'll talk about building a mystery (The Black Ascot), and answer audience questions with poison pens and murderous merlot! 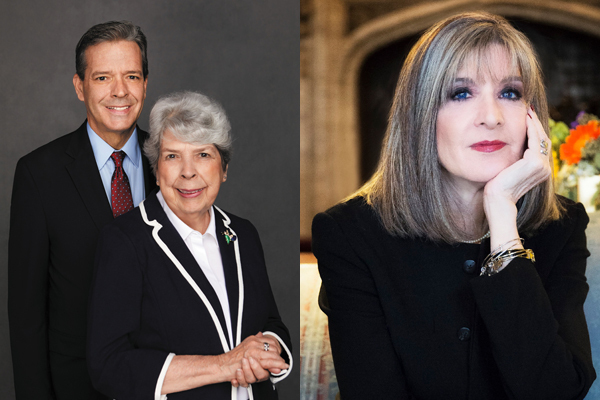 HANK PHILLIPPI RYAN is on-air investigative reporter for Boston's WHDH-TV, winning 34 EMMYs and dozens more journalism honors. The nationally bestselling author of 11 mysteries, Ryan's also an award-winner in her second profession—with five Agathas, three Anthonys, two Macavitys, the Daphne, and the Mary Higgins Clark Award. Her novels are Library Journal's Best of 2014, 2015 and 2016. Hank's current book is psychological thriller TRUST ME, an Agatha Nominee, and also named a Best Thriller by New York Post, BOOK BUB, Real Simple Magazine and CrimeReads. Her 2019 book is THE MURDER LIST, coming in August.